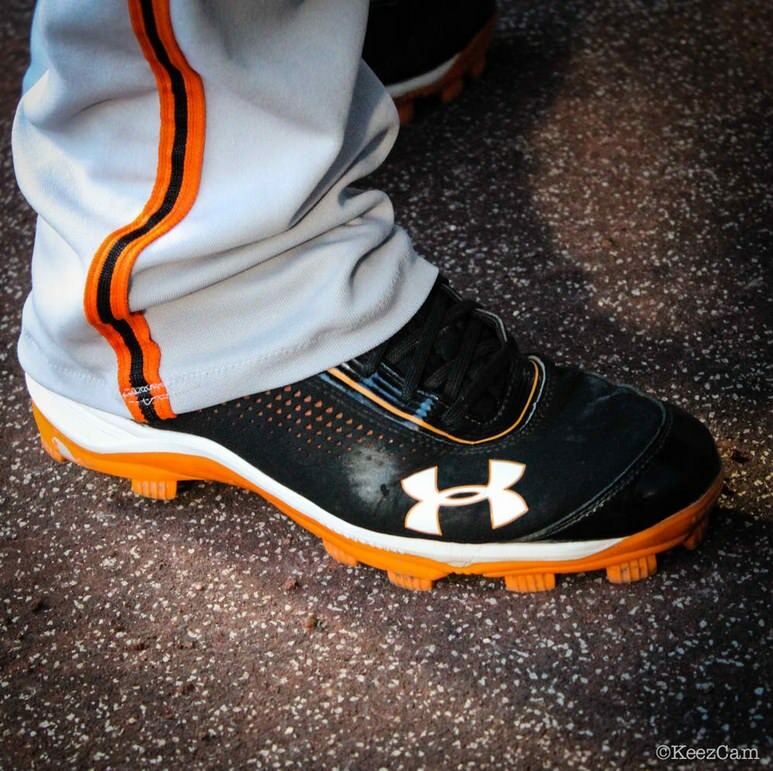 Posey rocks the black and orange UA Yard Mid molded cleats. A lot of catchers like going with the molded spikes instead of the nails because of the comfort factor behind the dish. Catching day in and day out can be a grind and Big Leaguers need all the aid they can get. Whether home or on the road, Posey will stick with the same cleats. You can get the Yard Mid ST's online in both metal and molded, but in a slightly different colorway than Posey's.